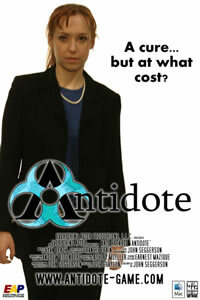 In 2005, I made a live-action video game at Emerson College. I made a number of games since then. Let's look back at where I got my start. My name is John "Seg" Seggerson and this is the first video game I developed. Inspired by franchises Myst, The Tex Murphy series, and other live-action video games, I set out to produce a game that explored that form of interactive media. What I learned from creating this project at Emerson College helped me to start my career. My roster now includes a majority of titles by Telltale Games. I also met a number of wonderful and talented people who helped produce this game. Some I'm still in touch with today, and others I hope will find this project and say hello. If you're curious to know more about the production and what the title was, you can read about it further. Otherwise try out the game!